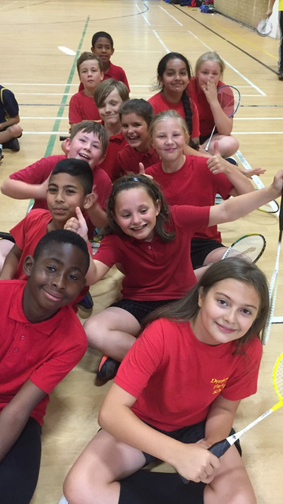 The Drayton Park Badminton team went to Leon for a Badminton competition on Wednesday 28th September. We were all excited to participate but there were a few who were nervous but ended up having a fantastic time! We played against other schools from Milton Keynes and it was a very close game of Badminton. After completing all the matches we were all exhilarated to find out the overall winner. After all the hoping, Drayton Park was joint first place. We scored an amazing 22 points! The entire team enjoyed this wonderful experience and hope to be entered into the grand finals to find out the real winner. As well as this, we want to experience another amazing game of Badminton.